LIVE Latest Updates By CapitaLand Limited - 16th Dec 2017! Victoria Park 95% SOLD ! Final Release of 5 Choice Luxury Landed homes! Call now to see actual show house! Victoria Park Villas is a new cluster housing project located along Coronation road/Victoria Park. 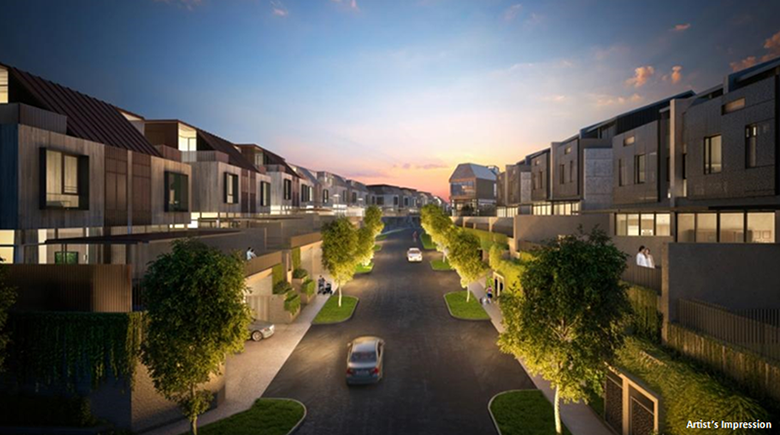 The project is situated within an established landed housing estate. Victoria Park Villas enjoys good accessibility to Bukit Timah Road, Farrer Road and Pan Island Expressway. The nearby Tan Kah Kee MRT Station (future) will also provide convenient access to all parts of the Singapore. Victoria Park Villas - Brand New Starbuy Promo Prices From S$3.8xm This Weekend! Definitely Priced to SELL, Units Moving FAST & FURIOUS! Starbuy Units from $3.85M only - Starbuy Units from $17XX psf. The Pool Villa maximises the living areas on the first storey, and offers maximum privacy through orientation and screens. A pool tops off the living experience, with elevated views for unsurpassed quality of life. Victoria Park Villas is sited on a site area of 3.8 hectares or 38,000 square meters, and a landed type of gross plot ratio.It is next to Coronation Ville and opposite to Coronation Grove and Coronation Village. This 99 years leasehold cluster housing development will offer tranquility to its future residents as it is located near to quiet Good Class Bungalow area of Rebecca Park.